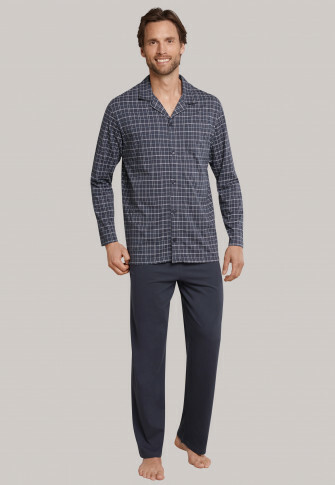 These long gray mens' pajamas combine stylish design with maximum comfort. 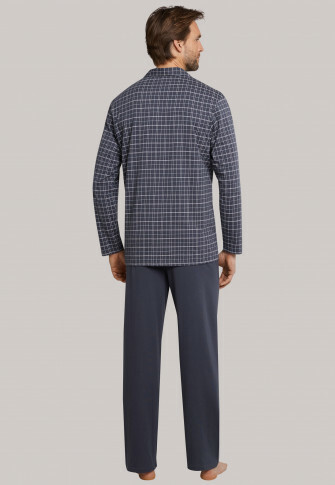 A plaid pattern in white and dark blue; the shirt collar as well as the patch pocket on the chest highlight the classic character of this top, which is nicely complemented with a pair of long gray pants. Fine single jersey made from 100% cotton takes care of the comfortable part, making these pajamas lightweight and particularly comfortable. 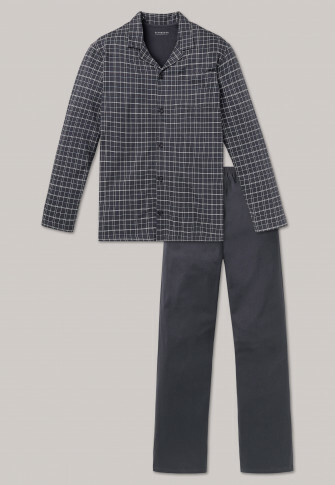 A masculine sleepwear duo with the best SCHIESSER quality!